This week a new little girl joined our OM Moldova family. 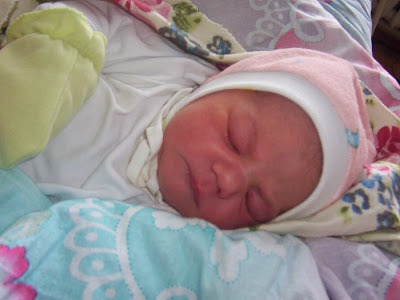 Ianosh and Mariana (see my blog of Aug.14/06 - Moldovan wedding) welcomed the arrival of their first child, a daughter. Her name is Beatrice Sofia and she appears lovely and healthy. I have not yet had an opportunity to visit but I hope to soon. Ianosh was involved in a serious car accident the week before and was still recovering from his bruises at the time of the baby's birth. We are thankful that the whole family is safe and well. Posted by Barb at 12:47 a.m.